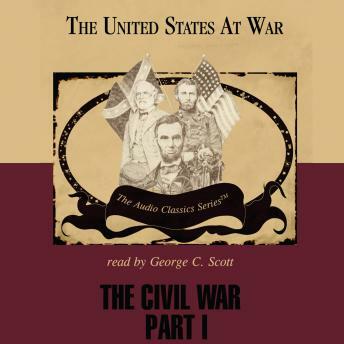 From 1861 to 1865 America was caught in the convulsions of war—The Civil War. No historical event, short of the American Revolution itself, has so deeply affected the United States. The central question involved the nature of the union. Was the United States one nation, or were the United States a group of sovereign states that could choose to disassociate? If America was a union then the powerful North could abolish slavery and impose tariffs on the slave-holding, agricultural South. If America was a confederacy, then Southern states could preserve their institutions by withdrawing from the union. What provoked this bloodletting? Both sides honored the same Constitution, spoke the same language, and worshipped the same God. But neither side could agree whether America was a union or a compact of states. The United States at War Series is a collection of presentations that review the political, economic, and social forces that have erupted in military conflict.